This summer saw the start of a new era in which the Environment Agency will work more closely with partners to get the best for fisheries and angling in England. A big part of this was after a rigorous and competitive process awarding the National Angling Strategic Services contract to the Angling Trust for four years. Part of the contract means rod licence income will fund 50% of their officers’ time to get more people into angling. This guest blog by Dean Asplin of the Angling Trust originally appeared in Anglers’ Mail. Working for the Angling Trust is an absolute pleasure and I feel privileged to be the Senior Regional Officer for the South of England. I have been with the Trust for the past 6 years and believe that my role, and that of other Regional Officers, is crucial for the future of angling. That’s because my role has one simple aim: to get more people to pick up a rod and go fishing. Through our partnership contract with the Environment Agency and support from other bodies like Sport England, we are working to increase participation in angling, both in terms of new anglers and getting people fishing more often. It is estimated that 40,000 jobs in the UK are reliant on fishing. If participation continues to decline there is a real danger it will lead to the closure of more angling clubs, fisheries and tackle shops, and this would have a devastating impact on the industry. Fewer people fishing on our rivers and lakes also means rod licence sales will decline, reducing the funds available to the Environment Agency to use in improving fisheries and the environment. So what is the Angling Trust doing to increase participation? Basically, we want to get over the message that angling is fun and can be enjoyed by everyone from young children to great-grandads! That’s why we’ve put a lot of emphasis on family fishing and organise events where children can experience fishing with mums, dads, aunties, uncles and grandparents. 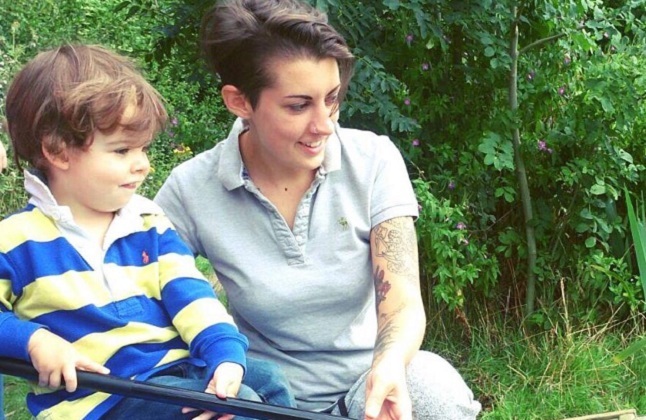 Children really enjoy the relaxed atmosphere and it’s great to see the smiles on their faces when they land a fish – many for the first time in their lives. I also work closely with licenced angling coaches and train willing volunteers to become angling’s ‘Volunteer Champions’. 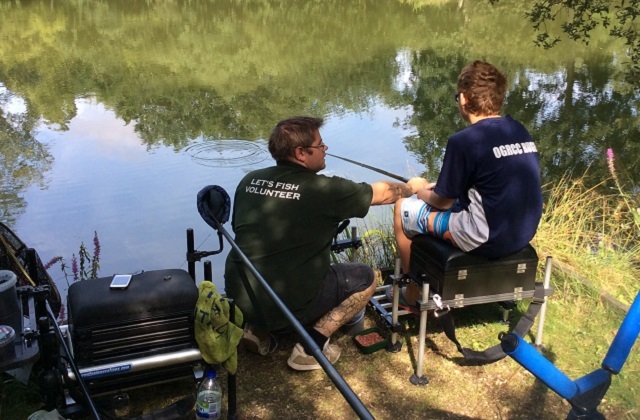 Coaches and Volunteers help deliver our ‘Get Back Into Angling’ and ‘Let’s Go Family Fishing’ events in a fun but safe way. I also work closely with licenced angling coaches and train willing volunteers to become angling’s ‘volunteer champions’ who help to deliver our Let’s Fish and Let’s Family Fish in a fun but safe way. Another important part of my work is helping clubs and fisheries find funding to put on participation events and I’ll also assist with bid writing. The Angling Trust and partners are dedicating a lot of time and effort into getting people into fishing. It’s because we know that once bitten by the enjoyment of angling, you’re hooked for life. Do you want to help get more people into fishing? Dean and his fellow Regional Officers would like to hear from clubs, fisheries, licenced angling coaches and volunteers willing to promote angling and help increase participation. A list of our Regional Officers can be found on www.anglingtrust.net and Dean can be contacted at dean.asplin@anglingtrust.net or on 07854 239731. Well basically, I can understand why you are in complete agreement with taxing people that go fishing, you are in a job that pays your money to live on but a couple of things that you point out are not correct, you state that "if rod license sales decline, this will reduce the funds available to the Environment Agency to use in improving fisheries and the environment" but the funds are not used to improve fisheries that are privately owned and run as a business, private fisheries get absolutely nothing at all in the way of helping these fisheries but are quite happy to go onto private land in pursuit anglers that only ever fish these private waters, I buy my license but get absolutely nothing from it other than pay a tax. I live in an area where there are no course fish in the rivers, these are all game fisheries run by clubs and because I only fish for carp, tench and bream, the game venues are of no use to me. I also dispute that the Environment Agency actually are needed to get people to go fishing, I am 68 years old and I have been fishing for the most part of my life, I remember that when I was young, when I was a teenager and when I was a young man, there were far more people fishing than there are now, we had nobody to encourage us to go fishing, it was just something that we did. We had clubs that had hundreds of members but now with all of the "help" that is given by the EA, clubs have falling numbers, not growing numbers and the license fee does nothing to help this. The license fee is mainly used for rivers and this of course means a big help for those that use boats on them and a lot of the course license fee actually goes to the game angling side of fishing. As for the thousands of people that are employed in the fishing industry, tackle shops are closing all of the time and of course there are many people losing their jobs in the industry, the EA is not making that aspect of the industry any better. I object to having to buy a rod license, because I only fish on privately ownes water and pay dearly to do so, this is not a cheap way of fishing and the cost of a license is just an added tax. Thanks for taking the time to leave us feedback Chris. While you may not see it, there is a lot of work we do to benefit private fisheries such as you describe. We have for many years run projects with such fisheries to provide improvements including access / fisheries platforms etc. to help improve the angling. We have always done these in partnership. Now we provide funds to the Angling trust to carry on these improvements on our behalf. The Trust invites bids from all fisheries and funds are made available to as many of these as possible. One specific project type we have worked on is providing help in protecting stillwater fisheries form predators and over the last 5 years as an example we have spent over a quarter of a million pounds to provide otter proof fencing. As well as direct improvements we also provide an emergency response role and over the years have attended a great many incidents at stillwaters rescuing fish and providing assistance such as aerating water to stop fish dying. We also provide advice to owners of fisheries, including private fisheries helping establish fisheries getting the habitat right and giving guidance on how to run them effectively to avoid fish deaths and other problems. Of course many of these require fisheries to approach us seeking assistance. There is however work that we do which benefits all fisheries, irrespective of any requests for assistance. Our regulatory role is of direct benefit to owners of stillwaters. We regulate fish movements between waters reducing the risk of spreading diseases and on those unfortunate instances when a disease outbreak occurs we introduce measure to prevent it spreading. Both these roles help protect private fisheries. Finally, as you rightly point out, there seem to be fewer anglers going fishing these days. The reasons for this are many and not easy to solve, however it is something we are working hard to reverse. Working alongside a lot of partners including the Angling trust, Get Hooked on Fishing and the Angling Trades Association as well as many local fisheries, we are investing a lot of time, effort and funding into reversing this trend. Getting more people fishing will benefit all fisheries but clearly those run as a business will generate more income if there are more people fishing. If you are interested in finding out more about the work we do, please take a look at our annual fisheries report ( https://www.gov.uk/government/publications/environment-agency-annual-fisheries-report ). This also includes links to our Area reports which will give you a feel of some of the work we do in your local Area.